The smartphone is the most connected and practical computer, it is small, light and powerful. The Mirabook unleashes the power of your Smartphone by turning it into a full-fledged Laptop with a large screen, a keyboard and a track pad. Your Smartphone is now the only computer you need. 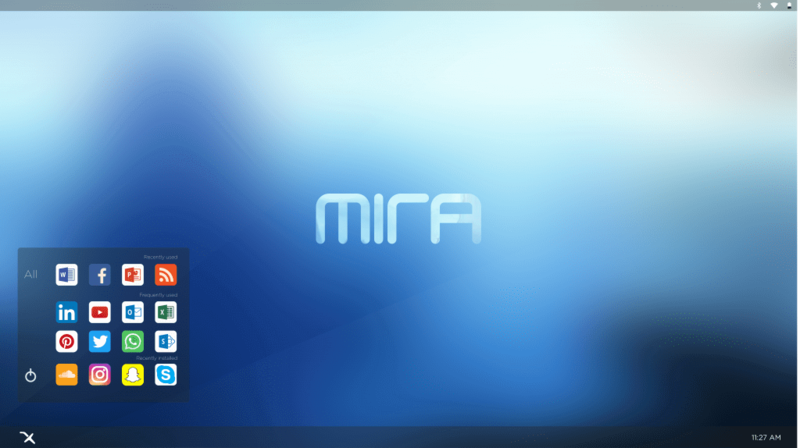 As Miraxess wants to bring you into the superphone revolution, Mira App gives you a complete experience of a desktop environment powered by your android phone. This app will give you all the comfort you need to finally use your phone as a full personal computer. 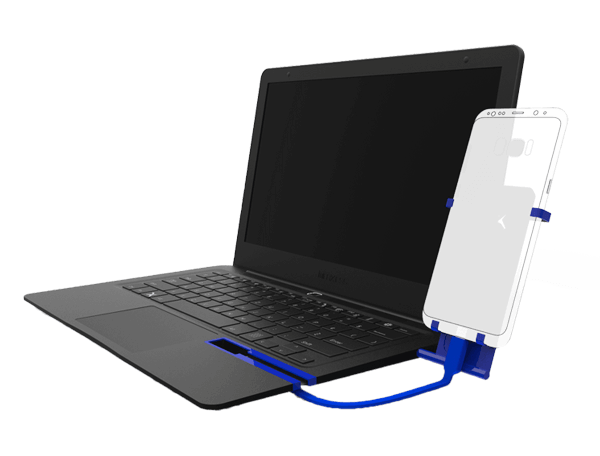 The Slide is a unique Mirabook accessory made to hold your smartphone. 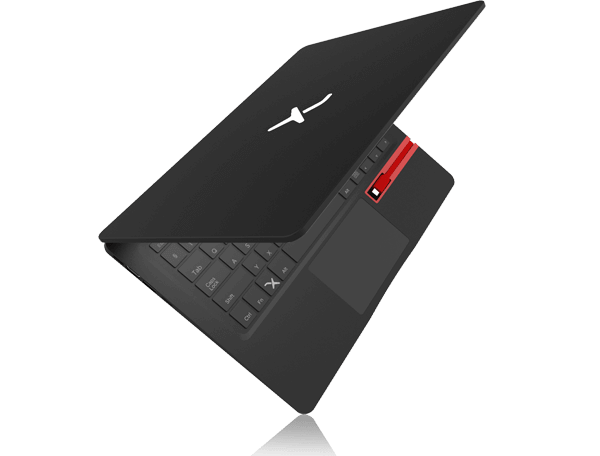 It is specially made so you can “slide” it directly on the Mirabook to have your Smartphone comfortably at your side. The Slide is also made to secure your Smartphone, so you can move around with ease. The colour touch is a customization element on the Mirabook, it includes the coloured tag and the coloured USB C cable. 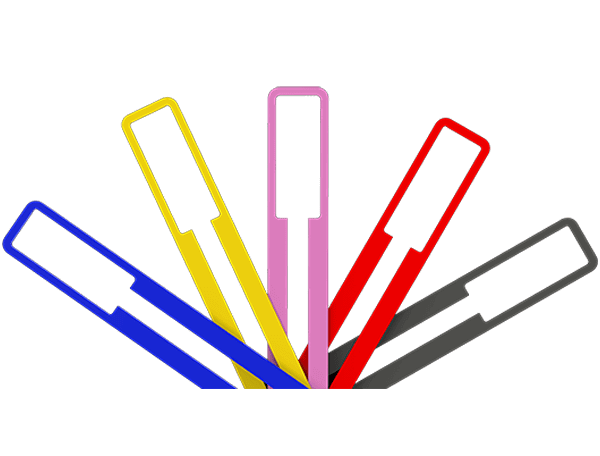 It is available in 5 different colours: Midnight Black, Fire Red, Abyssal Blue, Leaf Green and Rose Quartz. The Sleeve is a slim and premium leather accessory to protect and compliment the look of your Mirabook. 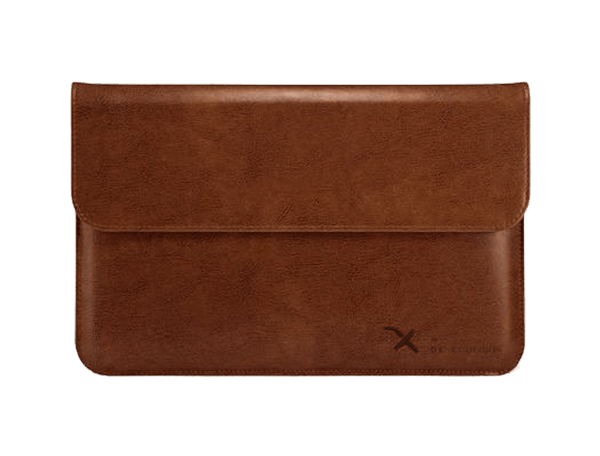 It was made by the french premium leatherwork house De Rigueur for Miraxess.